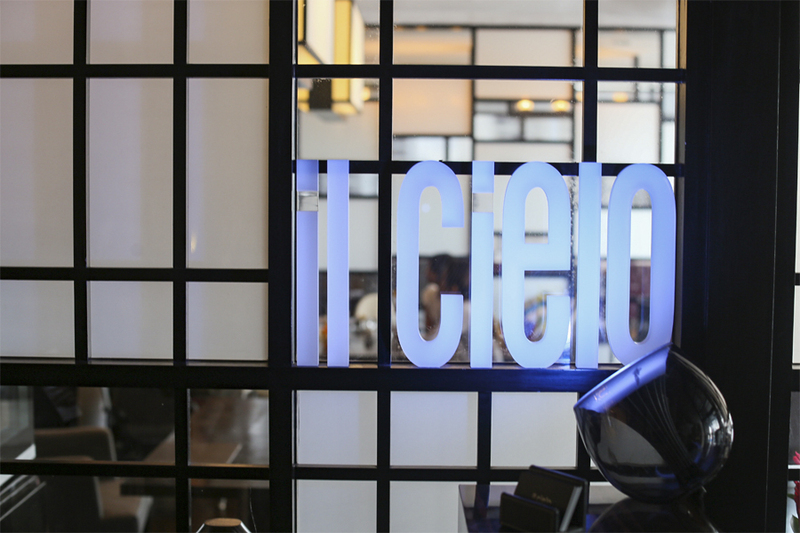 il Cielo may be that hidden dining gem that you are looking for, perched on Level 24 of Hilton Singapore, complete with a semi-alfresco dining experience with a panoramic view of Orchard Road. 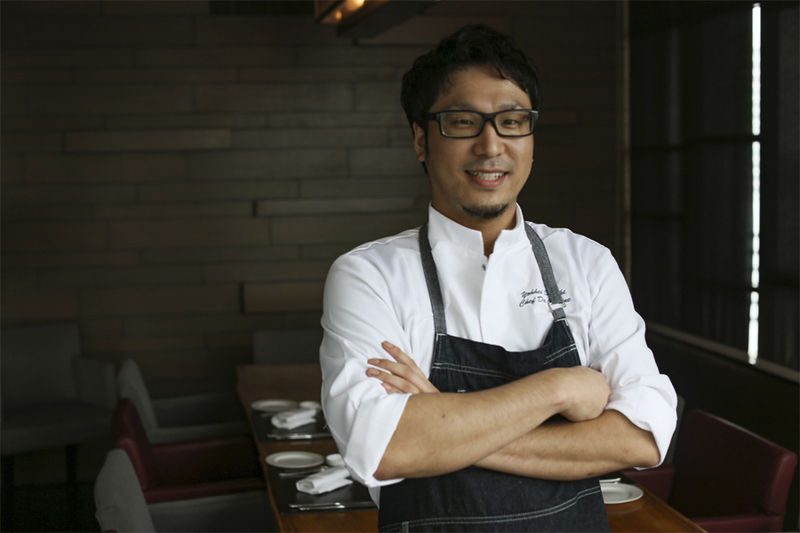 The restaurant has recently appointed Chef Yohhei Sasaki as Chef de Cuisine, who has introduced a NEW menu featuring Italian flavours with unique Japanese flair. 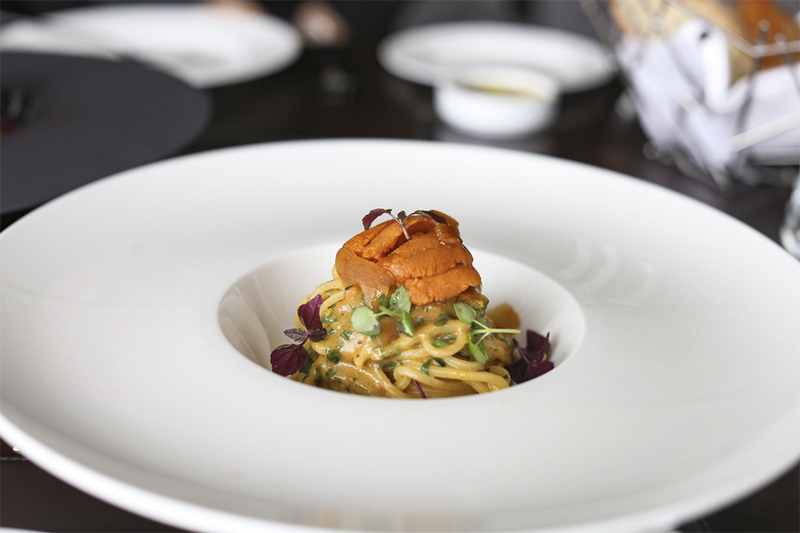 I have a thing about Italian cuisine cooked by Japanese chefs (oh, Uni Pasta! ), which is either full of pleasant surprises or elegantly intricate. This happens to be both. 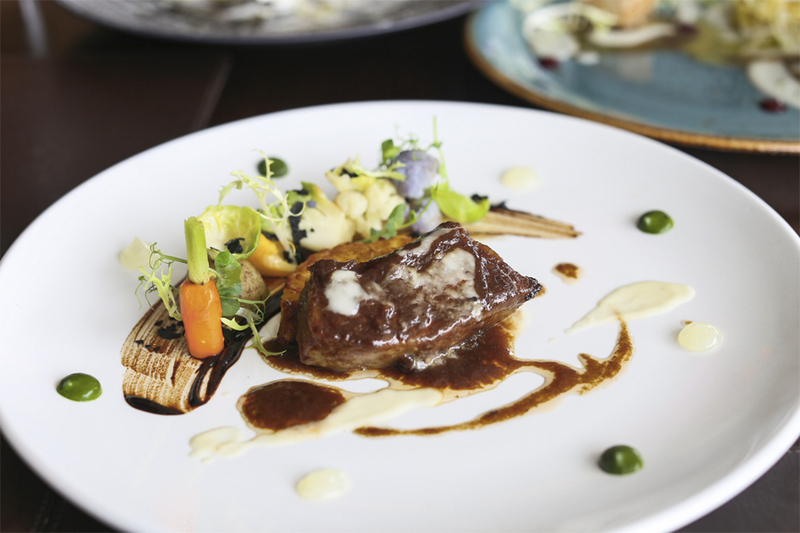 The dishes here are created with three key elements – using locally sourced natural ingredients, seasonal Italian and Japanese gourmet produce, and handcrafted with Chef Sasaki’s refined techniques. 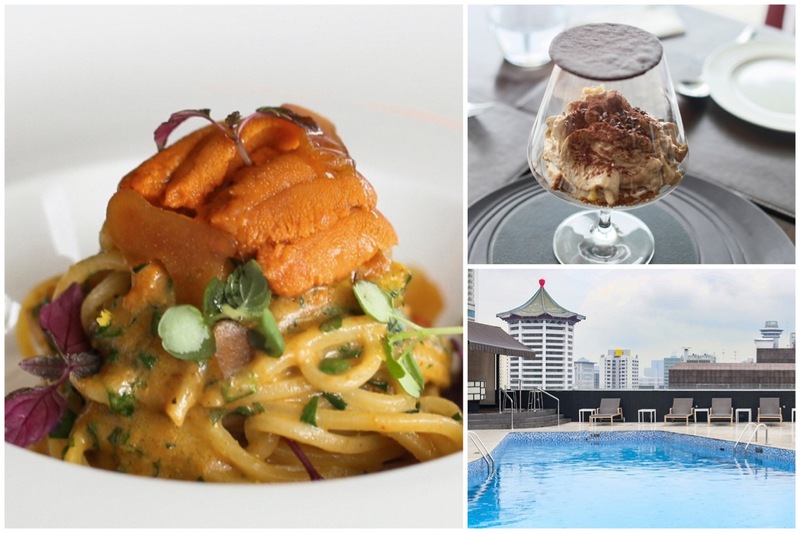 Chef Sasaki took a bold step by travelling to Italy to be trained in top Michelin-starred Italian restaurants in Tuscany and Lombardia, and came to Singapore a few years back. 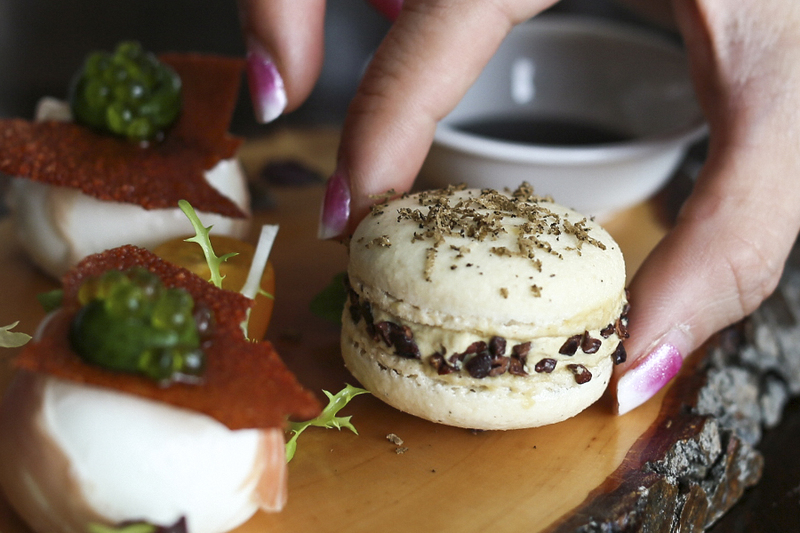 When I had the Amuse Bouche which was part of the Degustation Menu, I was already impressed especially with the Foie Gras Macaron – an indication the menu is on another level all together. 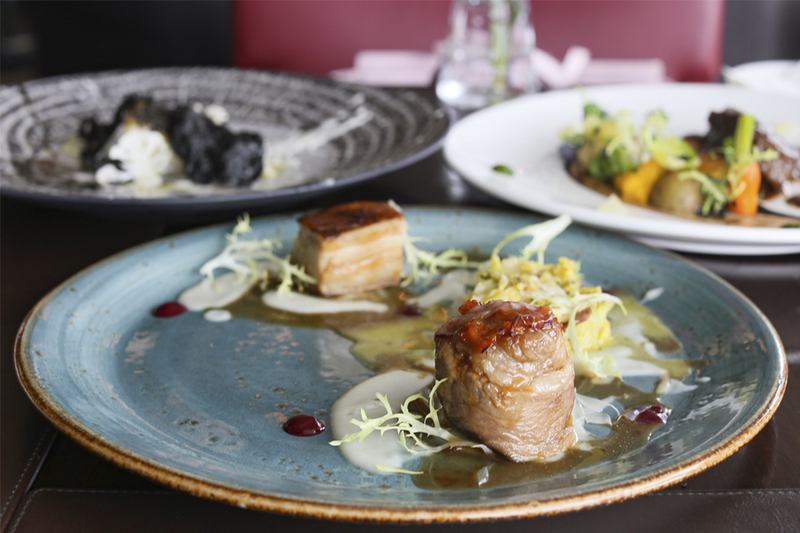 Diners can order the il Cielo signature dishes (some featured below) available in the ala carte menu, or degustation menus – available as set lunches or 5-course dinner menu. 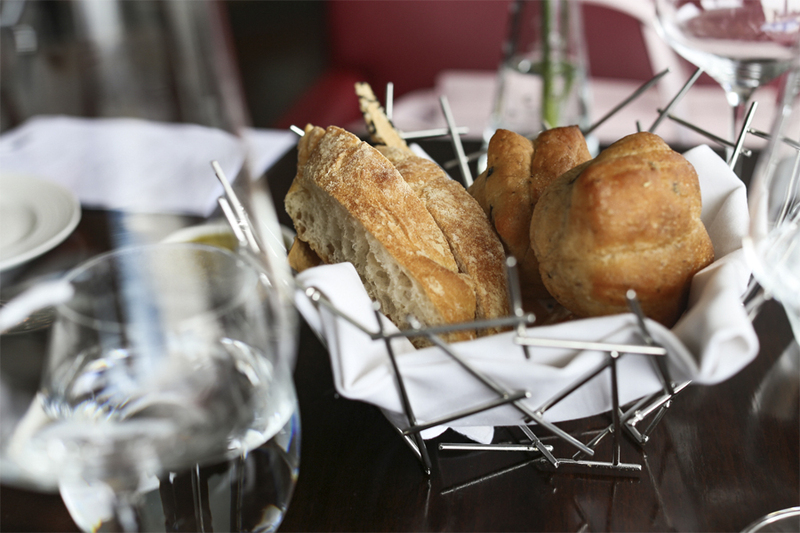 A starter that provides that expectation of what is to come, and you realise you cannot quite pigeon-hole the food here. The Kinmedai “Golden Eye Fish” Carpaccio resembles a sashimi dish, except that this has a lot more going on. 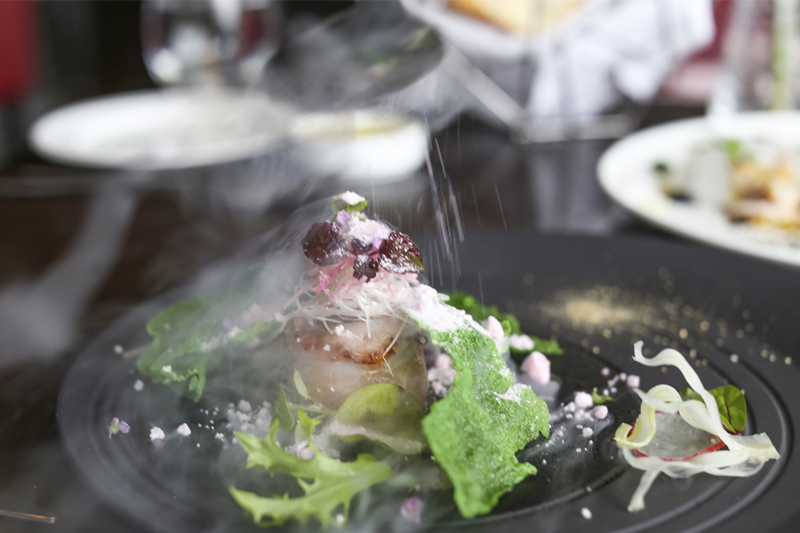 With the theatrical presentation, it was sprinkled with pink grapefruit snow, created by nitro-freezing the fruit mix into powder. 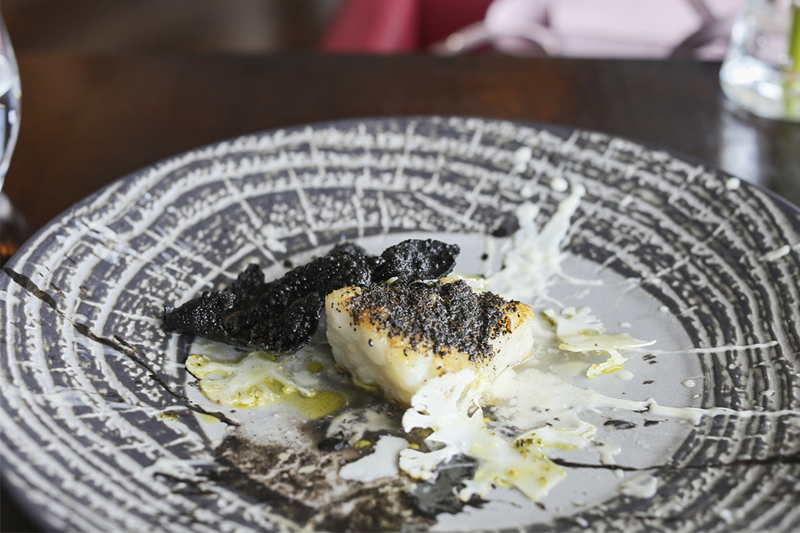 The tuile wafer made with seaweed and rice was a well-intentioned addition, providing both crisp texture and savoury umami taste. Loved it. 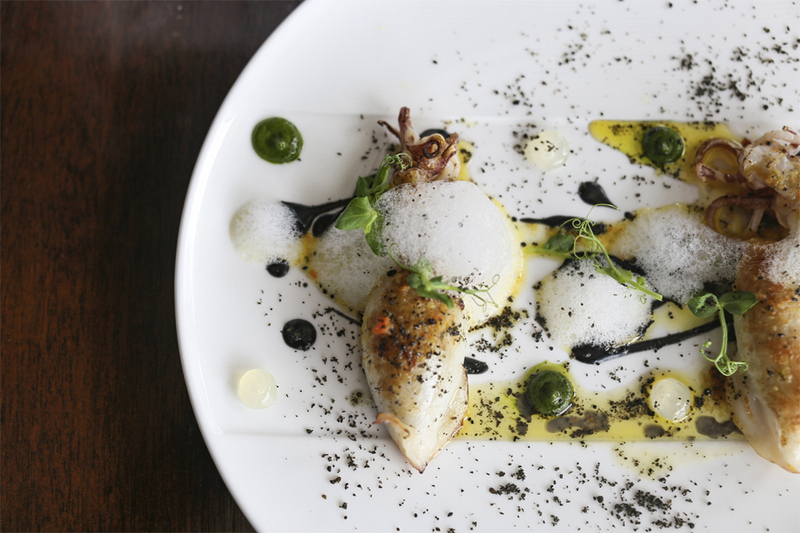 Stuffed squids are common in the Mediterranean which inspired this dish. 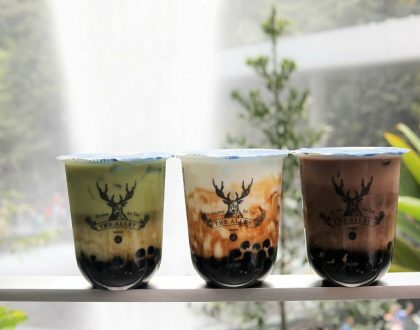 The sea water foam resembled the bubbles in the ocean. I enjoyed the beautiful texture and flavours. 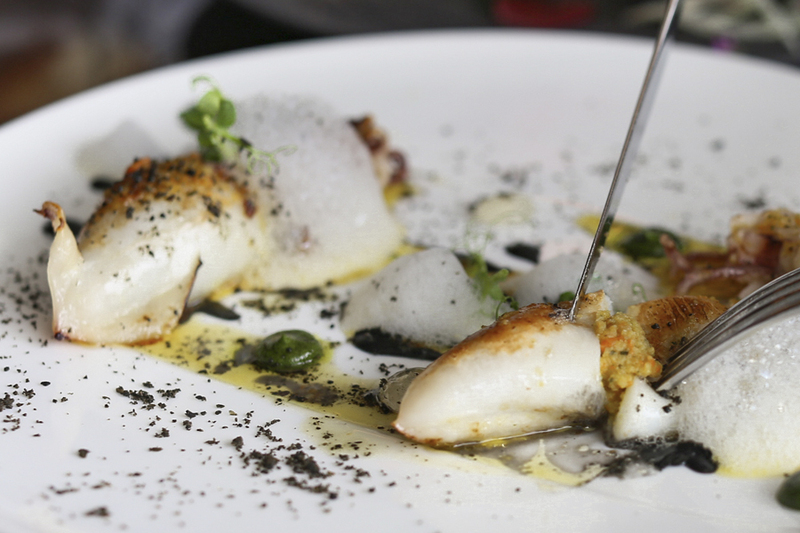 The squid was tender and didn’t have that rubbery texture. The portion was great too. 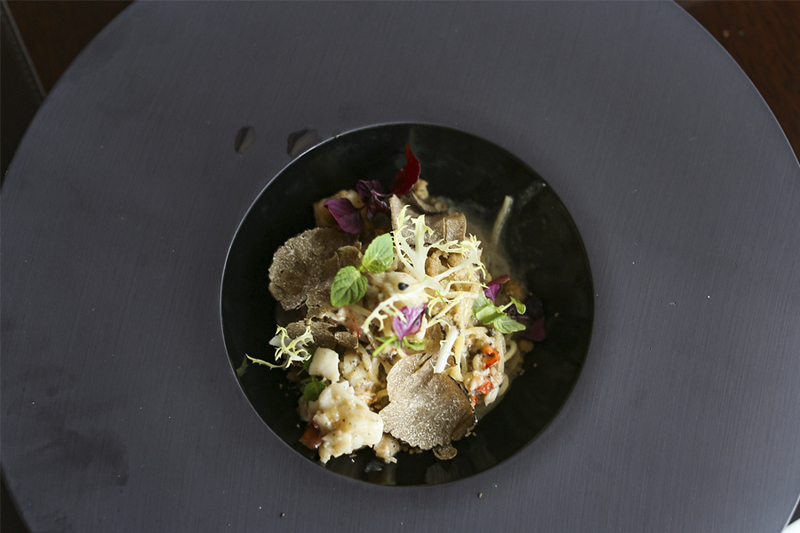 While there were pricier ingredients of black truffle and Maine lobster, the homemade pasta was clearly the star of this dish. That soft yellow hue, rich eggy flavour, cooked al dente with a good bite. 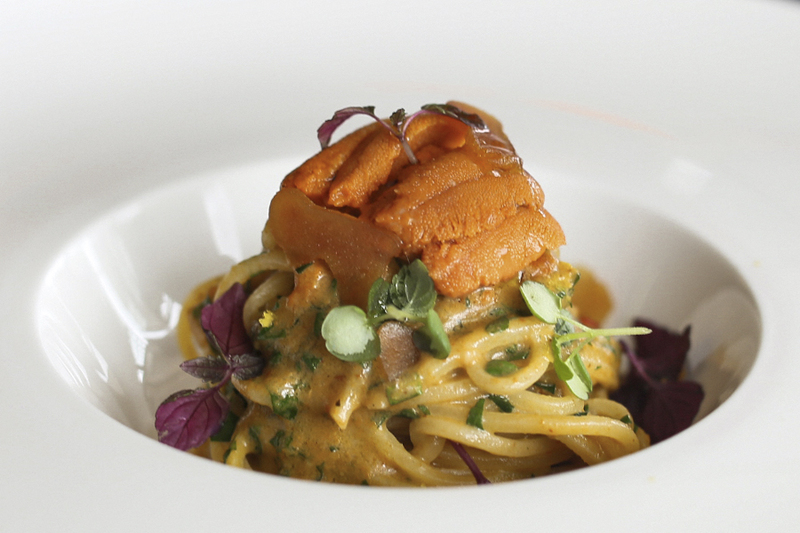 Rich, moderately creamy, and elegantly delicious Uni Pasta. I generally liked the lightness of the dish. You could taste the delicate blend of flavours from the saltiness of the fish roe, acquired ocean briny taste of the sea urchin, with hints of tangy yuzu for that brought that subtle zest at the end. 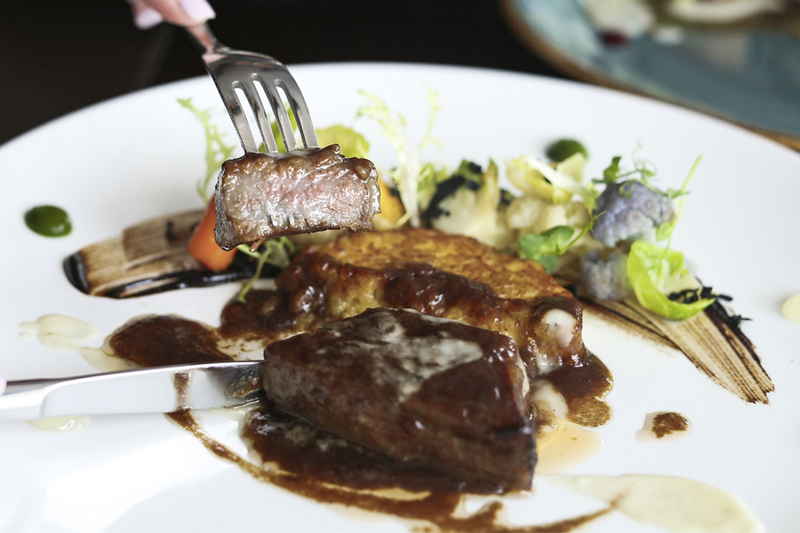 The Toriyama Wagyu came expectedly with great marbling for that melt-in-mouth sensation. I only wondered about the risotto which came creatively like a piece of patty beneath, if it could work better with more creaminess within. Between the two pieces, I enjoyed the braised mangalica pork a lot better. 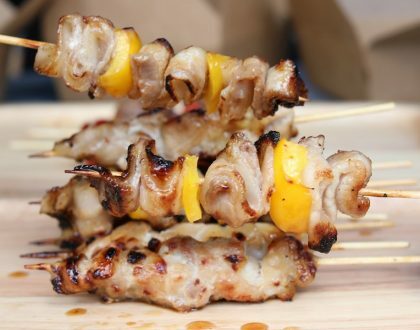 Known for its stronger taste and fuller fat content, the meat was ideal for slow cooking to savour that juiciness after. My dining partner called this the “tamed down Tiramisu”. I guess she was right. 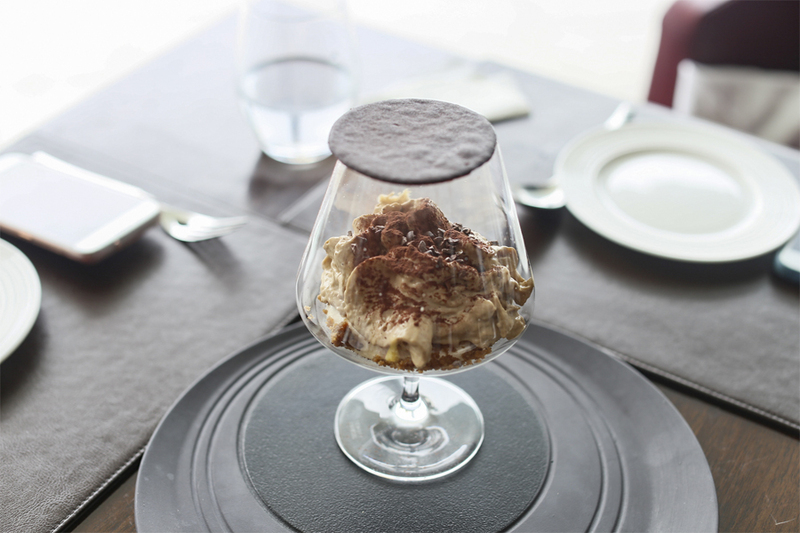 Without the intense alcoholic flavour, this dessert came across as a lighter, fluffier version of the traditional tiramisu. Makes a suitable end to a satisfying meal. 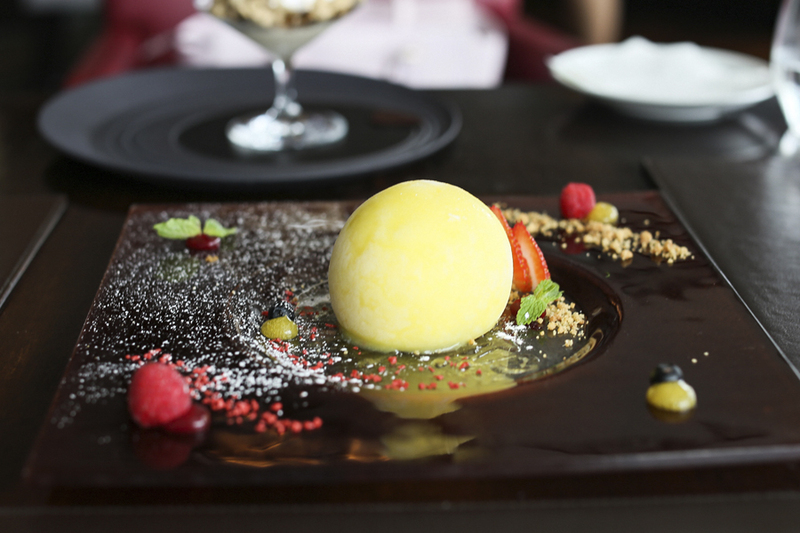 Looking like a yellow balloon on a plate, you cannot imagine the amount of work that goes into making one of these. But it was worth the effort. Beneath the yuzu sphere was a ‘treasure’ of lemon sorbet (not easy to keep it not melting), with its tanginess balanced with the addition of mildly sweet ricotta cheese and acacia honey gel – known to be one of the best types of honey in the world. Literally a refreshing ball of pleasure. 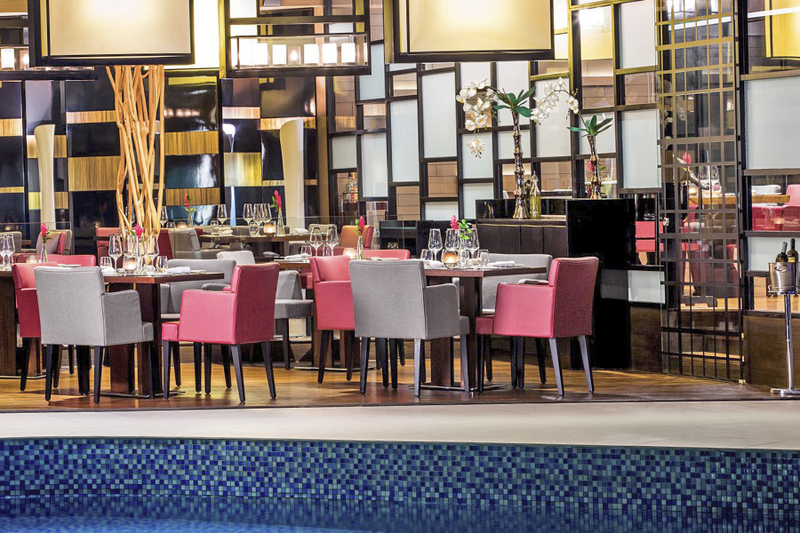 With its intimate setting with 48-seater capacity, the name “il Cielo” which translates to “the sky” can be that dining place for corporate lunches, to romantic dinners and celebrations. 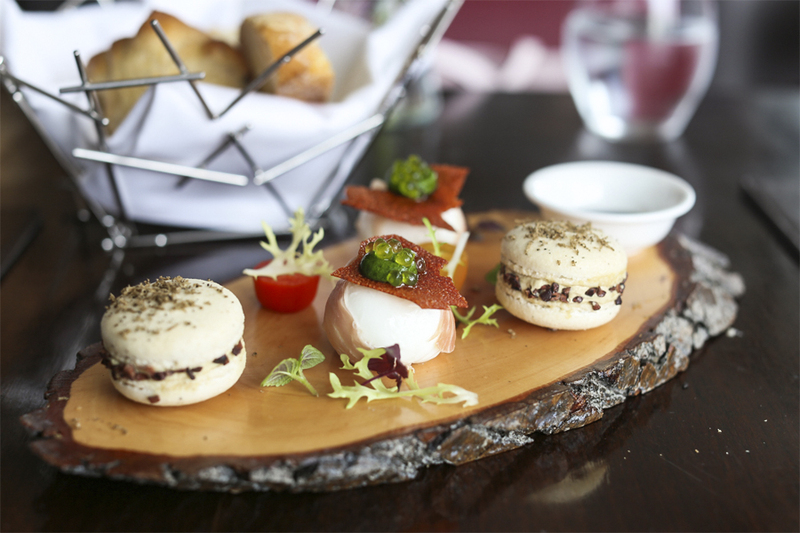 The set lunches come at a great price, with 3-course at $35++, and 2-course at $25++. 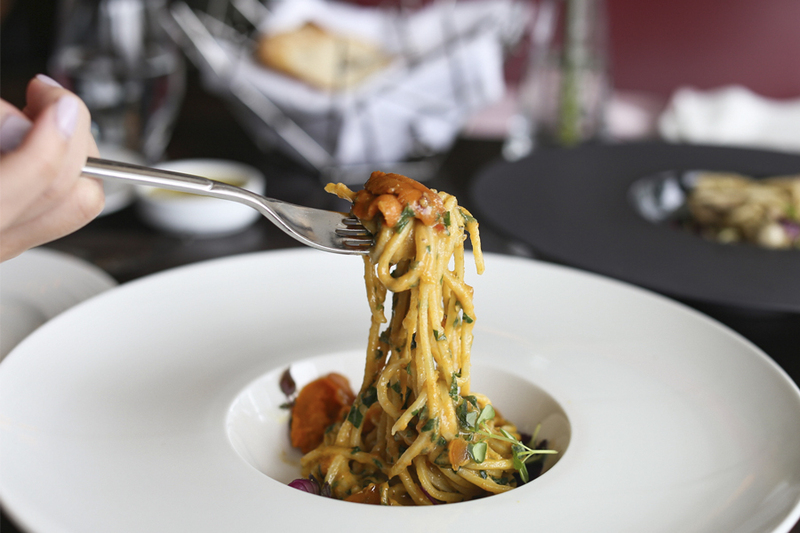 They are also weekly rotational depending on the freshest ingredients available. Enquire with the restaurant on the menu for the week. 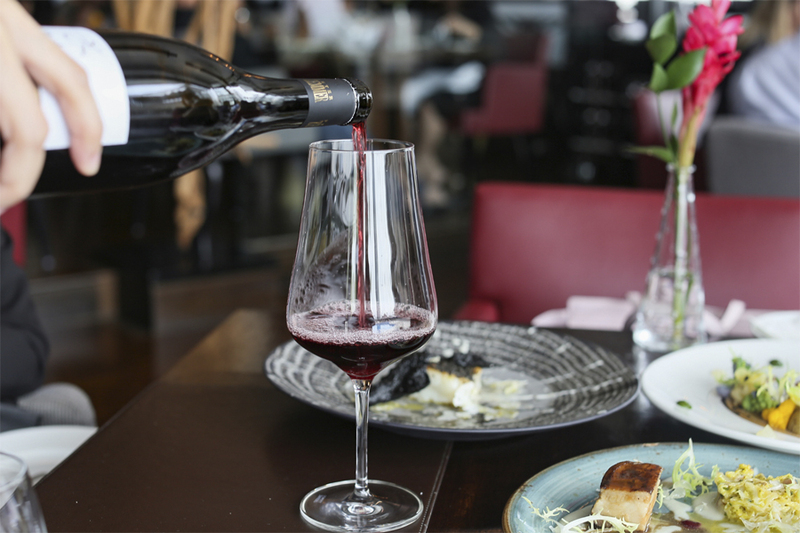 Quote ‘DFDilCielo’ to enjoy a complimentary wine flight (including 3 glasses of wines worth $30++) when you order the 5-course degustation menu during dinner. 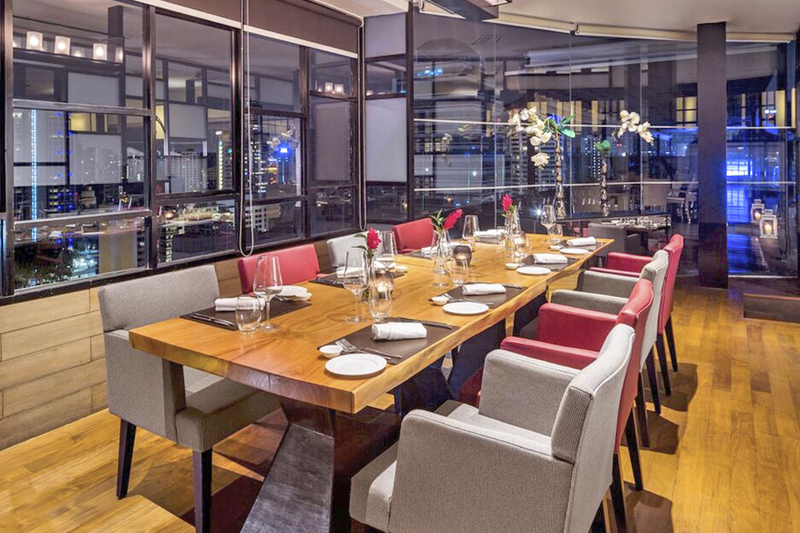 First 50 reservations / limited offer allocations daily. 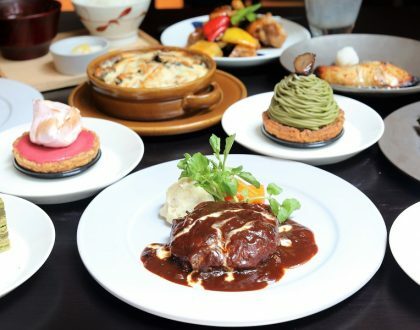 *Only valid during dinner and 5-course Italian/Japanese degustation menus. 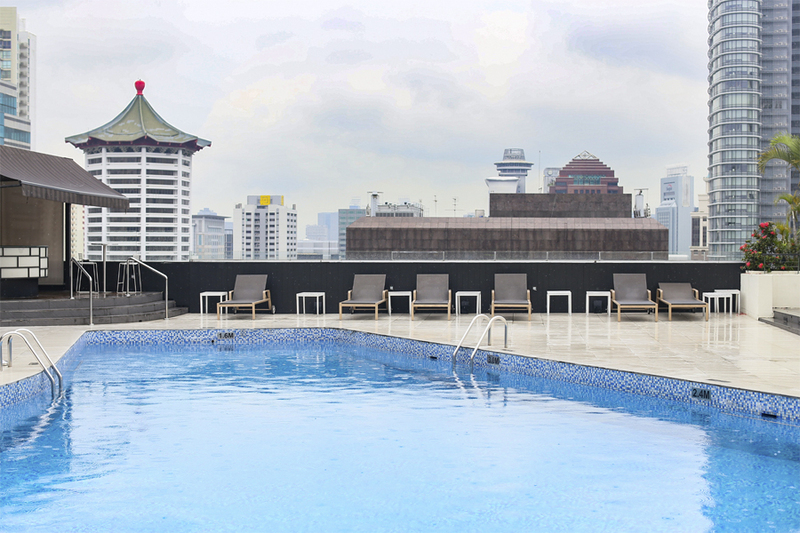 *This entry is brought to you in partnership with Hilton Singapore. Can check if the promo code for below is still valid?